The first complete paperback edition of the restored Gormenghast Novels, including twelve critical essays and the original fragment of Mervyn Peake's unfinished fourth novel, Titus Awakes. A doomed lord, an emergent hero, an array of bizarre creatures, and an ancient royal family plagued by madness and intrigue―these are the denizens of ancient, sprawling, tumbledown Gormenghast Castle. Within its vast halls and serpentine corridors, the members of the Groan dynasty and their master Lord Sepulchrave grow increasingly out of touch with a changing world as they pass their days in unending devotion to meaningless rituals and arcane traditions. Meanwhile, an ambitious kitchen boy named Steerpike rises by devious means to the post of Master of the Ritual while he maneuvers to bring down the Groans. In these extraordinary novels, Peake has created a world where all is like a dream: lush, fantastical, vivid; a symbol of dark struggle. 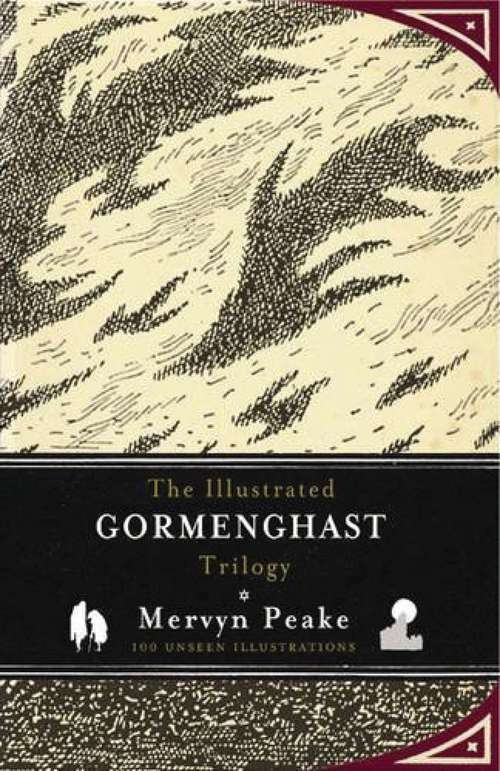 Accompanying the text are Peake's own drawings, illustrating the whole assembly of strange creatures that inhibit Gormenghast.